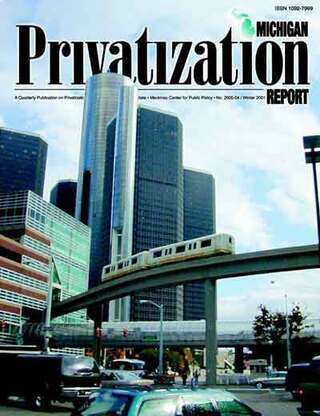 In 1999 Detroit's public protection agencies spent a combined $69 millioin less than their revised operationg budgets. After adjusting for inflation, Detroit is spending less on public protection today than it spent then years ago. The charter of Detroit requires that the city have not only a budget plan for proposed spending, but also a report showing what was actually spent after a particular year's budget has been closed out. This latter document is known as the Consolidated Annual Financial Report (CAFR). An examination of Detroit's CAFR for the fiscal year (FY) ending June 1999 and the current FY 2000-2001 city budget shows some good news, but unfortunately, that news is outweighed by other issues that may signal rough financial times ahead for the city and its residents. The "unreserved equity" (i.e., money available for general operating uses) of the city's General Fund is declining. It dropped from $102 million in 1998 to $71 million the following year. This fact is significant because the status of the General Fund, which offers city leaders the greatest spending discretion, is often used by public accountants as a benchmark for a government unit's overall fiscal integrity. A declining General Fund may indicate poor fiscal health. At the very least it may reveal a city's inability to cope with future emergencies. The city's Airport and Transportation Funds have deficits of $4.5 million and $15.9 million, respectively. Both deficits have remained unresolved for quite some time and have been increasing in recent years. A recent bankruptcy of city airport's principal commercial carrier will exacerbate this situation. Fuel price increases will also adversely impact Transportation Fund operations. These two deficits exceed the entire "unreserved\undesignated equity" of the General Fund by a substantial amount. Detroit's Housing Fund and Resource Recovery Authority also have deficits. The Housing Fund deficit should be made up by money from various federal programs over a period of time. Meanwhile, the Resource Recovery Authority's deficit has actually been reduced from 1998 to 1999, in part, due to subsidies from the General Fund. In 1999, the Detroit Fire and Police Departments as well as the 36th District Court and other public protection agencies spent a combined $69 million less than their revised operating budgets, which totaled $570.5 million. The slightly more than $501 million spent for public protection in 1999 was almost exactly the amount expended in 1990 ($501.1 million). This means that real spending on public protection in the city dropped during the 1990s. Detroit lost an estimated $294 million worth of residential property to fire in 1999 – more than the combined economic value of all new residential construction in the city for the previous decade. Detroit relies excessively upon two sources of income: municipal income taxes and the shared taxes and grants from the state of Michigan and the federal government. These two sources represent 78 percent of General Fund revenues, which is $1.26 billion for the Fiscal Year 2000-2001. Should America and Michigan suffer even the slightest economic downturn, the city's ability to finance its operations would be in doubt. Pension plans for some city employees are in good shape. Police and fire pensions are fully funded with excess assets of $349 million. The city's health insurance plan for retirees, on the other hand, is not actuarially sound. It is funded on a pay-as-you-go basis. There are presently 19,800 retirees, 118 percent more than in 1950, when city employment was at its peak. The liability that has accrued to the city for Detroit's current and future retirees for health care lies between $1.75 billion and $3 billion. The City of Detroit Library Fund is doing well, with $8.2 million in equity and an additional reserve for inventory (more books, for instance) of $3 million. These figures represent a healthy 27 percent of revenues. The Water and Sewer Fund operations will have to expend billions over the next decade to upgrade the system to comply with new federal mandates. The infrastructure (drain, water, and sewer pipes) are aging and also will require replacement, adding more expenses to the city's remaining residents and commercial establishments. If Detroit's future expenditures were relatively stable, this financial snapshot still would be cause for concern. But the city is looking at two new outlays of monstrous proportions: funding the pension obligations of current and future city employees, which could cost up to $3 billion, and fulfilling requirements under several federal environmental acts, which will cost billions more. Indeed, Mayor Archer has noted that upgrading the city's water and wastewater infrastructure could cost as much as $10 billion over the next ten years. With less than $500 million in legal debt margin left, the Motor City may soon have its financial back to the wall. If there is one thing we know from history, it is that recessions happen. A recession for the rest of the nation, combined with demands on the city to comply with huge federal environmental mandates, could spell trouble for Detroit. If properly implemented, an aggressive privatization campaign including sales of city assets could provide Detroit with the revenue it needs to pay creditors, improve services, and maintain its infrastructure during the next decade. Privatization of city services also could prevent Detroit from becoming the first major American city to have its democratically elected leadership replaced with an appointed financial oversight panel — a fate that befell one of its suburbs, Ecorse, in the 1980s. Detroit holds its future in its hands. Will public officials and citizens cling to the status quo, or will they embrace privatization as the engine that drives the Motor City to a new era of financial security and economic prosperity?